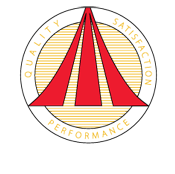 At Redmonds Complete Comfort, LLC we strive for 100% satisfaction in everything we do. We value your opinion and invite you to tell us and others about your experience with us. Please take a few moments to tell us what you think by leaving us a review here on our website or on any of these popular review sites or social networks. Obviously, I am very pleased with the company. Redman's is balancing and tweaking the newly installed system as of this writing. They are timely and attentive to my questions and concerns. I don't honestly think I have ever worked with a company that is so customer driven as RCC and I will recommend them to anyone who needs HVAC service. Very courteous staff. Great product. Thanks. Product or service reviewed: Removed PTAC Unit installed improperly and Replaced with new PTAC Unit. As a Property Manager for Elderly Tenants; you have to entrust contractors to provide professional service, communication, and workmanship for your tenants. Unfortunately, I did not receive any of those qualities from the first contractor. His profession was "He talked a good talk". When I was left with a very unsightly and unprofessional installation of a PTAC Unit in one of my Tenants homes, I had to search for a new contractor. RCC was recommended by my newly hired maintenance man. I contacted their office and the office personnel were extremely helpful and professional in scheduling and communicating with me. Brian B. is an awesome representative for this company. He is professional, knowledgeable and is all about Customer Satisfaction. The two technicians that were here and completed the project were Ben and Justin. They provided the job I wanted done by the other contractor ( a year ago) and in a very timely manner, with professionalism. The end result was amazing. The tenant and I were ecstatic to have the monstrosity removed from his living room and the new one installed correctly and professionally. After dealing with the "other" contractor for over a year and the total unsatisfactory service, I couldn't wait to give RCC my Thanks. They earned and deserve this review of exellence. I highly recommend them not only because of this project, but for all the other jobs they have completed satisfactorily at my building. 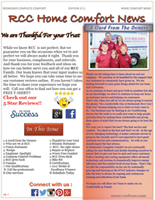 RCC is the BEST out there and they are my "GO TO" heating and air conditioning company. You pay to have the perfect website, business cards and reviews, but the old fashioned " WORD OF MOUTH " customer satisfaction is the best advertising you will achieve; be it good or bad. Very professional in all aspects! I was informed, after installation, by a salesman who sells to HVAC companies that Redmond's is a quality company. Highly regarded by him. Very well done. Very happy with my new system. Great company. Always professional and responds to our requests in a timely fashion. Happy to be a reference should you need one. Great company and staff to work with. Service is wonderful! Very clean, good work. Very good employee! I don't know what Brian did to our furnace, but it works better and quieter than it ever did. Thank you Brian!! It was a pleasure having you in our home! I have recommended you guys to lots of clients as well as friends, I rarely do that because I don't want to hear it FOREVER if they are not happy. Merry Christmas and a Happy and healthy NEW YEAR! Thank you for being fair and courteous. He did a fantastic job. Top notch. Very well pleased with installation and operation of equipment. We were so impressed with everybody who works for this company. They were courteous, prompt in response and answering any questions, and all around easy to work with. They got in and got the job done quickly and we are in love with our new systems! Very pleased with the installation speed. The lifetime warranty on the installation very nice. Was given a thorough review of the operation and functions on the remote. Very impressive. Very relaxing for me in knowing everything is installed correctly and I could let them do their job. Thanks! "Job Well Done"
The installers did very nice work and were very helpful and polite. We were impressed with your company from your website, to your salesperson, to your installers. It's a pleasure to deal with friendly, knowledgeable people that actually care about the customer. Our experience with Redmond's Comfort Care has been top notch every time. Brian was a fantastic sales rep and everyone was so helpful and friendly. I've never seen a contractor leave a space cleaner than they found it! Installers Sean and Tyler were outstanding! Arrived early, took no breaks, professional, personable, etc. Well trained staff. Everyone I talked to knew the equipment and procedures from my first call to the office, to my meeting with sales rep, to the actual installation, to my call back to see if I was satisfied. Everyone was friendly and well informed. Could not ask for a better experience. We couldn't be happier with our new heating/cooling system and our decision to choose Redmond's. Felt totally cared for by everyone, from the owner, to the technicians, to the office staff. I had read great reviews about your company and decided to give them a call. Best decision I've made in a long time! Proud to say we are customers of Redmond's. Everything went well. Thanks for everything! Very courteous and professional. Very helpful and friendly. We are highly satisfied. Work was completed quicker than expected, when done, cleaned up. Every one was very helpful. Great group of people. Great experience, great service, and customer support. I would like to have given each one a #1. They are GREAT. Had a gas boiler and new A/C installed, happy with sale, installation and office staff. I was impressed with each person from the business. Redmond's Complete Comfort is an outstanding business. Have recommended them to others. Very neat. The guys were great. Awesome job. Would highly recommend them. Redmond's is the best ! We call and they respond immediately to our emergencies. We had a problem with air conditioner not working right and now so far everything is fine. Thanks so much. They were able to get me an appointment the very next day and did not leave until the job was complete even with unseen complications. I would definitely use them for any other services needed within their profession. Knowing I could depend on a timely response & the job was done well. The technician who worked on our furnace was very nice and seemed knowledgeable about the process. Very well satisfied with everything! Excellent! Everything was absolutely Excellent! From start to finish everyone was fantastic! And the heating/ cooling unit is incredible.. Love it!! Every single technician that has worked on site as well as the office have been fantastic! Thank you! Extremely professional, work was excellent. Redmonds has always been very helpful and quick to help us in all our heating and air conditioning needs! We will continue to do business with them! Thanks for your prompt responses and caring attitude for us! We couldn't be more pleased with RCC! Every employee of theirs is a joy to work with and they always show up in a timely fashion and do great work! Work was done professionally and timely. THE TECH. WAS VERY GOOD, AND HE HAD WHAT HE NEEDED TO COMPLETE THE JOB in his van. My experience was very good. Everyone was Courteous, knowledgeable, and very professional. Brian was at my house within a few days of my phone call request and he was very helpful in explaining what my equipment options were and preparing a quote with four options. Once I made my choice the equipment was ordered, and installed within a couple of weeks. The technicians that installed the equipment were very knowledgeable about their work and did an excellent job installing the equipment and starting it up. I would definitely use Redmond's again and would recommend them to others. Very experienced tech. Very clean and neat. On time and did a great job. By the way, his name is Pat. Very good employee! Everyone we have talked to has been very nice. Answered all our questions. The guys that installed were very professional and they worked great together as a team. Glenn was great! Give him a pay raise! The Technician was on time. Very efficient and simply did a great job. Everything was set up and ready to function. Lance and Brian are very professional and knowledgable. I feel we are in good hands with them caring for our equipment. Technician, Brian, did an excellent job on the furnace. Extremely impressed with his professionalism. Would recommend your company and products. Very impressed with the presentation of the products. All questions we had were answered. After the first year maintenance that comes with our purchase, we will be getting the maintenance agreement. Everybody performed an outstanding job from sales through installation of air conditioning. Words like prompt, well done, clean, and professional describe the excellent experience that we received. Totally impressed with equipment installed and professional installation team. Very impressed with the courtesy and promptness of your company. The service technician was very professional and efficient. I am so glad that I found a local company that is so good. As usual, another great RCC experience!! Glenn was on time and did an excellent job. He arrived during the designated time and went right to work. He is a good representative of your company. He addressed all of my questions and concerns. Thank you. Everyone at Redmond's was wonderful from our first meeting with Brian until our heater was installed and the guys were so nice and professional. We would recommend Redmond's to family and friends. Keep up the good work! The technicians were friendly and knowledgeable. They did a very good job of servicing all of our heating and cooling systems. I continue to be impressed with the quality of service you deliver and the skill quality of your staff. I am very pleased with the service I've had. I am also very familiar with the technicians from being a customer with Montour Services since 1995. Glad to know that we have this service in our area. Brian's sales presentation was great! And the crew that installed the Oil Furnace were fantastic, neat and tidy! Highly Recommended! We enjoyed doing business with your company. We already sent others to you. You have a life long customer here. Ty! Great hometown business. Friendly and professional. Thank you for a job well done and the workmanship was excellent and fast. We would recommend your company to anyone. Thanks again. Your crews are always professional and courteous and do an outstanding job. Way to go, Redmonds. I couldn't be more pleased with Lance and Co. at RCC REDMOND'S HVACC. From scheduling to service-top notch! Efficient, polite, and fair. I definitely will use them in future. Just hopefully not too soon! The secretary was very helpful, knowledgeable and efficient in setting up my service. The technician was very polite and did the service requested. He also took time to answer our questions. I like the availability of a service contract. Very fair pricing too. Great people. Brian was great to help us out. Glenn and Brian are wonderful people. Lance was very professional. He checked everything out and explained what he was doing. We have a high degree of trust in your service people. They fix the problem in a short amount of time. I have used several other companies and it has been expensive and lacking in service your company came out found the problem that all the others missed and did it in a timely manner and charged us a reasonable amount that was affordable even though we had no choice we had no heat you treated us fairly and like we had been your customer for years and now we will be thanks. Received courteous and professional service. Stayed within quoted price. Received prompt service. We were very happy with the work done and the advice given us. We trust and respect your employees. Thank you! The people you have are very professional and treat the customer with respect. 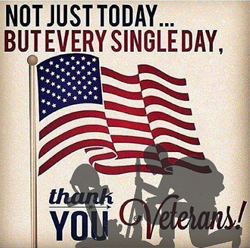 Betsy and I want to thank everyone again for such service. Thankful you for completely fixing a dangerous mess another company made! You're very professional, high quality of workmanship and we highly recommended your company. Thanks for easing all our nervousness! Great work, great people. I will recommend you. Very satisfied with the service and the installation crew. Redmond’s did a fabulous job installing our new heating & cooling system. It took several days to install. We knew we could trust them and felt safe with the technicians who were in and out of the house working. We’re so glad we got it done before the summer heat hit. Everyone who visits comments on how good it feels in our nice cool house. We just received one of our $600 rebate checks. We were grateful that Brian helped us with the necessary paperwork and patiently explained everything. The organized binder he provided to help us keep track of everything was an added bonus! Thank you for a job well done! Very professional and easy to work with! RCC wasn’t yet in business back when we had our geothermal system installed in our new home. But they are now the *only* ones we will call to service it! And their qualifications ensure that this is not a problem with our warranty as well! Not only does Brian Redmond possess superior skills and knowledge, but he is also extremely reliable, professional, and courteous. I highly recommend RCC to everyone I know! RCC installed a Bryant heat pump system for our newly remodeled In God’s Hands Daycare in Blanchard. The work was done in a timely and very professional matter. They were very efficient in installing the unit in our attic where we wanted it without any problems. Brian has excellent knowledge and cares personally about your HVAC needs. We definitely would recommend his company and his expertise in servicing or installing any heating or cooling unit. I just got my electric bill today. I have determined that it cost us about $150.00 per month to heat for the months of January an February. That brings my season to date heating cost to approximately $450.00. Considering that State College had the coldest February on record this is a great result from the new heat pump. We are on track to fall within the estimates that Brian gave me for the system performance. At this cost level the heat pump should save us approximately $2000.00 verses an oil furnace this year. I could not be happier with the investment we have made in changing from oil to a heat pump. Our partnership has been using RCC to service and maintain our furnaces at over 12 different properties. RCC has done a great job of cutting back on service calls. RCC responded to emergency calls promptly. He also completed a boiler system transfer from oil to two very high efficient gas boiler in a 7 unit apartment building and we are now seeing our savings already. RCCs attention to detail professional work ethic and knowledge of heating and air conditioning systems shows they are trained and is very impressive for the age of this company.